A new drug that 'melts away' the fat that builds up inside arteries has been hailed as a 'big breakthrough' in the fight against heart disease. The medication has already been successful in trials for the treatment of breast cancer and diabetes and now scientists at Aberdeen University have discovered it could also boost cardiovascular health. Just a single dose of trodusquemine tested on mice 'completely reversed' atherosclerosis, a disease that causes most heart attacks and strokes. The disease causes arteries to become clogged with fatty substances called plaques, which over time, narrows your arteries. Researchers believe the drug 'mimics' the effects of exercise and activates a protective enzyme. It also inhibits another enzyme that causes prolonged inflammation and hardens arteries. Experts said their findings have the potential to ‘significantly reduce deaths’, given that heart disease is the number one cause of death globally, killing 17.7 million people a year. Donald Trump reportedly blames his son-in-law, White House Senior Adviser Jared Kushner, for his role in the decision to appoint special counsel Robert Mueller, according to Vanity Fair’s Gabriel Sherman. On a phone call Tuesday with Breitbart News Executive Chairman and former White House Chief Strategist Stephen K. Bannon, “Trump blamed Jared Kushner for his role in decisions, specifically the firings of [former National Security Adviser] Mike Flynn and [former FBI Director] James Comey, that led to Mueller’s appointment,” according to a source who was briefed on the call. On Monday, Mueller indicted Trump’s former campaign chair Paul Manafort on 12 counts — ranging from making false statements to “conspiracy against the United States” — as part of the ongoing, so-called “Russia Investigation.” Richard Gates, Manafort’s deputy, was also charged. The Voices of Maryland Women Listening Tour traveled to Chesapeake College in Wye Mills, the heart of Maryland’s Eastern Shore. There, thirty-four individuals gathered to discuss the concerns of women in this region. The public forum was organized as a partnership between the State Senator Addie Eckardt and the Maryland Commission for Women. The attendees at the forum included individuals, representatives of women’s and community organizations, service providers and public officials including the Mayor of Cambridge Victoria Jackson-Stanley and State’s Attorney for Talbot County, Mr. Scott G. Patterson. Representatives of both U.S. Senator Cardin and Van Hollen were also in attendance.The participants articulately identified a wide range of issues and challenges for the women of this region which includes Kent, Caroline, Queen Anne’s, Talbot and Dorchester Counties that encompasses small, historic cities and towns, popular resort and tourist attractions, along with large agricultural and seafood industry areas. ANNAPOLIS, MD – Governor Larry Hogan today announced a comprehensive computer science education and workforce development plan, including a new executive order, proposed legislation, and $5 million in new education funding. The governor’s plan, known as the ACCESS Initiative (Achieving Computer Science Collaborations for Employing Students Statewide), fulfills the commitment he made in joining the National Governors Association’s Governors Partnership for K-12 Computer Science in July. In joining the Partnership, the governor committed to strengthening computer science education across states for all students in order to meet the demands of a 21st century workforce and prepare students for the jobs of the future. Current estimates indicate that there are more than 500,000 open computing jobs across the country and over 115,000 total computer science-related jobs in Maryland. “For nearly three years, our administration has worked tirelessly to build an unrivaled ecosystem of innovation and economic growth in Maryland,” said Governor Hogan. “We want to make sure that Marylanders have the tools and the skills they need to compete for 21st century jobs. “In this rapidly-evolving job landscape, states that have access to a highly trained workforce will have a major advantage. Maryland simply must continue to lead the way, and closing this skills gap begins with a focus on education. We must spark the interest of students - particularly girls - beginning at an even younger age, and we must inspire high school and college students to pursue careers in computer science,” the governor continued. While Maryland has a highly educated workforce and computer science-related industries are growing in the state, the demand is increasing at an even faster rate, and companies often experience difficulty in finding workers with the necessary training and skills. There are currently nearly 20,000 openings for high-paying computing-related jobs in Maryland – four times the national average – and while computing-related jobs in the state are projected to grow by another 12 percent over the next decade, in 2015, Maryland produced fewer than 3,000 computer science graduates. PETERSBURG, W.Va. — I haven’t come to talk about the opioid crisis. 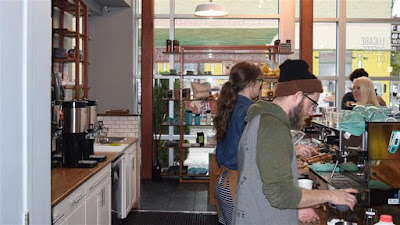 But our conversation, as with most of my conversations here, eventually turns to drugs, and the devastating toll they’ve taken on this community. I’m sitting on the couch in Charlie Combs’ living room in Cabins, just outside Petersburg, West Virginia. On the table beside me is a Bible, and on the wall in front of me are pictures of Combs’ family, including his two sons, Brent and Ryan. I’ve come primarily to talk about President Trump, who in the 2016 election won the votes of 88 percent of Grant County voters, a higher share than in any of West Virginia’s other 54 counties. President Donald Trump is leaving his administration’s push to pass comprehensive tax reform before year’s end in the hands of his trusted deputies while he embarks this morning on a 10-day tour to Asia, where he’s expected to discuss, among other topics, the security threat that North Korea poses to both the region and to the world more broadly. As Reuters points out, it will be the longest Asia tour by a US president since George H.W. Bush vomited on Japan’s then-prime minister, Kiichi Miyazawa, during a trip to Asia in 1992 just weeks before the New Hampshire primary. While Trump, whoso gastro digestive system is in far better shape, will likely not suffer the same embarrassment, the possibility of a diplomatic fiasco is high for obvious reasons. Meanwhile, tensions run high: to underscore the seriousness of the biggest problem at hand, two US strategic bombers carried out military drills over South Korea Thursday, the U.S. Air Force said, raising tensions with North Korea, which accused the US of carrying out simulated bombing drills near its territory. In a move that is sure to further trigger the Kim regime just as Trump touches down in the region, the US has sent three aircraft carriers to participate in unprecedented 3-way drills off the Korean penninsula. Thursday’s drills were first reported by North Korean state news agency KCNA on Friday, which described the exercises involving South Korean and Japanese fighter jets were a “surprise nuclear strike drill," Reuters reported. 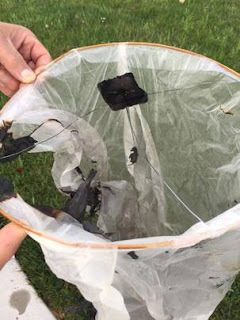 PIKESVILLE, MD – The State Fire Marshal would like to remind Maryland residents and visitors that using aerial luminaries, commonly referred to as “Sky Lanterns”, is prohibited throughout the State. The Office of the State Fire Marshal regularly receives requests from the public concerning these devices, typically constructed with oiled rice paper on a bamboo frame, which are released into the atmosphere. A candle or fuel cell is ignited within the device causing the trapped air inside to become heated. The hot air allows the lantern to rise and float away with the upper air currents. Once airborne, they may travel significant distances away from the release site and return to earth, often before the flame is fully extinguished. This action can result in combustibles at the landing site to become engulfed in flames, potentially creating an uncontrolled fire involving a structure or vegetation. The fire risk associated with these devices encourages fire safety officials to restrict their use in the best interest of public safety. The Code of Maryland Regulations (COMAR) Code 29.06.01.08T specifically addresses “Sky Lanterns”, prohibiting the use of the devices throughout the State of Maryland; where their use becomes a hazard. The Maryland State Fire Prevention Commission updated the State of Maryland Fire Prevention Code on January 1, 2013. The updated State Fire Prevention Code is available for download at the OSFM website:http://mdsp.org/firemarshal. Access the document through the “Document Downloads‟ tab on the left side of the page. 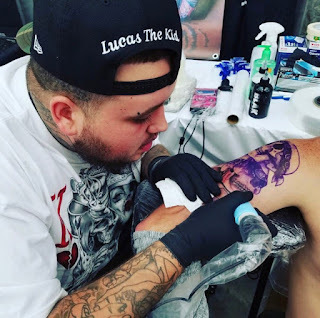 International tattoo manufacturer, Dragon Hawk Tattoo Supply, has teamed with Delaware Branding Company’s Lucas “the Kid” for a sponsorship while expanding it’s global exposure. Dragon Hawk, a company based in China, has added production and warehouse facilities to the US and secured sponsored artists to field test products and help spread the word. Dragon Hawk Tattoo Supply was founded in China over 15 years ago, with the mission of supplying inexpensive machines and supplies to tattoo artists world wide. Currently, their Compass machines rival tattoo machines costing considerably more, providing artists more affordable alternatives. With the many artists switching to rotary machines, machines without coils operating on direct to motor current, Dragon Hawk is seeking to provide the most durable machines with less of a price tag. Lucas “the Kid” made the switch to rotary machines six months ago. That’s where the two crossed paths. “I ordered some needles for the new rotary machine I purchased from a rival company and they totally botched the order,” Lucas says, “so when I contacted Dragon Hawk they were more than eager to make sure everything went smoothly.” He added “the correspondence continued for a week or so, with them checking out my work and offering to send me some machines to try out and give them feedback.” The correspondence and feedback has gone so well that Dragon Hawk is currently producing a signature, rotary machine for “the Kid”. The new Lucas “the Kid” rotary machine from Dragon Hawk, will be available late November and feature all the best parts, manufacturing and production available in both China and the US. Four-year-old Eithan Aghion catches his very first fish! It’s that time of year when our youth fishing rodeos have all wound down and school is already well into the academic year, but that doesn’t mean the fish are back to school too! In fact, the fall and even winter months are some of the best times of the year to grab your fishing rod. 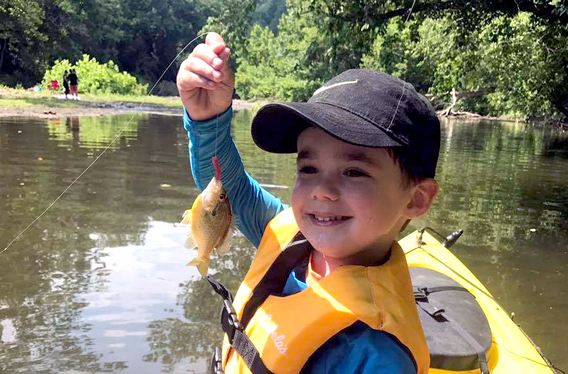 In October, thousands of brown, golden and rainbow trout were released in select lakes, ponds, rivers and streams as part of Maryland’s Trout Stamp program. That means kids younger than 16 can hit stocked areas any time! Cooler water temperatures stir various types of catfish to think about eating even more than they do during the warmer summer months. Catfish can be found in all of the tidal creeks and rivers flowing into the Chesapeake Bay, and many lakes throughout Maryland. Catching them is simple and provides some fun fishing from lake and river banks. Earlier this fall, Recreational Outreach Coordinator Erik Zlokovitz and his son Ethan participated at this year’s STEM for Scouting event at Aberdeen Proving Ground. 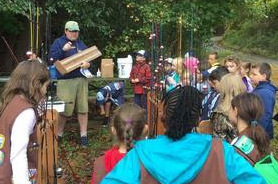 These lucky children learned the basics from how to bait to how to cast. They even had the chance to throw one of our large nets into the water to see what they could catch! This event drew nearly 500 boys and girls from across eastern Maryland. That’s a great catch! Did you take a picture? Share it with friends? 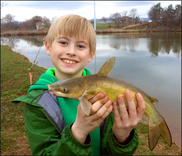 Well, if you did and really want to show it off, why not submit it to the Youth Angler's Log? 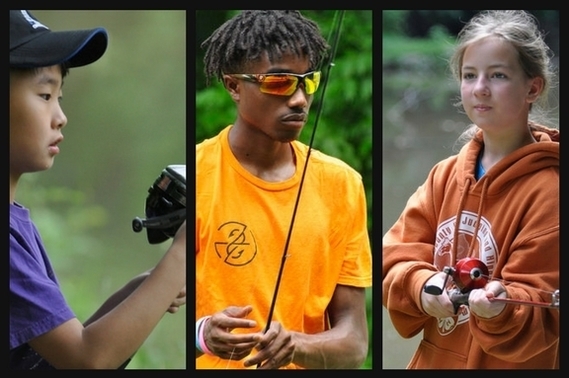 Here you’ll find lots of tales from kids and teens across the state who are proud of their catches. It's simple to do, and for an added bonus, every few months we randomly select a name for a cool prize. Who knows? You may be next! We spent the summer with AquaKids! 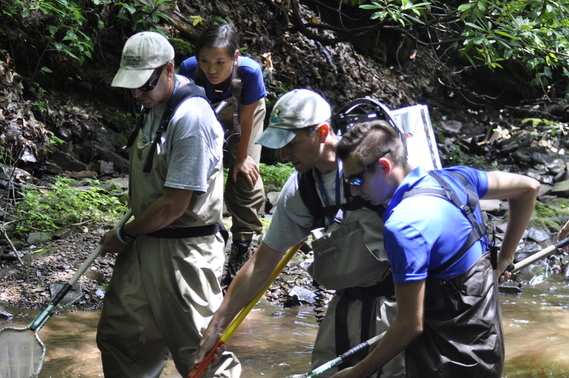 Check out all the cool stuff we did, including electrofishing in the Savage River! Shawn Porter has a title fight tonight on Showtime. The NFL would lose its ability to claim tax breaks for stadiums, colleges and universities would have to start paying taxes on massive endowments, and house “flippers” could no longer shield their income from the taxman under House Republicans’ proposed tax bill, which takes aim at a number of quirks that have developed over the years. Republicans also settled some scores with the bill, including freeing churches from rules that prevent them from taking a stand in political elections and halting illegal immigrants’ ability to claim several major tax credits. The changes produce tens of billions of dollars in savings a year — money that Republicans poured back into the tax code to reduce rates for lower-income Americans and to cut business taxes. Axed from the tax code are breaks for electric car owners and big-time college donors looking to score better seats at football games. Also gone is the ability of divorcees to deduct some alimony payments. All told, budget-cutters said, it’s a major step toward the flattening that Republicans had promised. Hillary Clinton’s never ending ‘look at me, I’m still here’ tour continued on the Daily Show Wednesday night, where she criticized President Trump’s response to the vicious terrorist attack in New York by saying ‘Presidents shouldn’t point fingers’. “What you want in a president is… trying to bring the country together, talk about what happened with the event that they are concerned about, but not to point fingers, not to scapegoat, not to try to set Americans against each other.” Hillary said. “And, unfortunately, that just is not part of the job that our current president accepts or is willing to perform.” Clinton added. Rep. Lamar Smith announced Thursday he will not seek reelection to the House in 2018. The longtime Texas Republican noted in a letter that his term as chairman of the House Science, Space, and Technology Committee will end next year. Smith’s congressional district, which takes in parts of Austin and San Antonio as well as rural counties to the west, has been solidly Republican in the past. Mitt Romney won nearly 60 percent of the vote there in 2012. Col. Michael Bumgarner, formerly the commander of the guard force at the Guantanamo Bay detention camp, urged President Donald Trump to “immediately, within the next 24 hours” declare New York City terror attack suspect Sayfullo Saipov an enemy combatant and send him to the U.S. military prison at Gitmo. Speaking in an interview with Breitbart Jerusalem, Bumgarner warned against reading Saipov his Miranda rights, and said that shipping him to Guantanamo Bay as an enemy combatant would allow for enhanced interrogation and send a strong message to other potential terrorists seeking to attack the U.S. domestically. Trump himself voiced similar sentiments in remarks to reporters on Wednesday. Hillary Clinton's campaign seized control of the Democratic National Committee months before she won her party's nomination, diverted resources away from struggling state parties, and allowed the national party to accumulate a mountain of debt, writes former DNC interim chair Donna Brazile. Brazile has written a tell-all article about the dysfunction and mismanagement she uncovered at the organization she was brought in to run after hacked emails revealed efforts by party insiders to tilt the scales toward Clinton. Brazile, who was herself thrown into controversy when it was revealed she passed on debate questions to the Clinton camp, unloads on her predecessor, Rep. Debbie Wasserman Schultz, and discloses a smoking gun document in the form of a fundraising agreement that sent resources to the Clinton camp. Astonishingly, Elizabeth Warren - who campaigned with Clinton - said she believed Brazile. Special counsel Robert Mueller issued the first three indictments from his investigation into whatHillary Clinton, her Democrat Party hacks and their MSM propaganda machine insist was Trump/Putin collusion to swing the 2016 presidential election. For months, The Washington (Bezos) Post had been promoting this Trump/Putin collusion farce as Watergate on steroids – until last week, when it could no longer conceal the fact that it had discovered the fake Trump/Putin dossier, the impetus for Mueller’s investigation, was actuallyfunded by Clinton and the Democrat National Committee. In 2008, another young charismatic Demo, Barack Hussein Obama, defeated another stale older GOP presidential candidate, and then, over two presidential terms, took the art of big lies to a whole new level. However, their considerable records of duplicity and deception notwithstanding, both Bill and Barack have been bested by the most shameless of all prevaricators, Hillary Rodham Clinton, who lies about everything. President Donald Trump gave a wide-ranging interview on Fox News’ “The Ingraham Angle” Thursday, revealing his thoughts on this week’s terror attack in New York City and the campaign actions of the Democratic National Committee. Mr. Trump responded to claims from former DNC chairwoman Donna Brazile alleging that the committee rigged last year’s Democratic presidential primary between Clinton and Sen. Bernie Sanders. Did Hillary’s rigging at the DNC push Biden out of the race? Brazile’s piece in Politico describes her shock at the discovery of formal legal paperwork between the two entities when she took the reins at the DNC in August 2016. Brazile had been tapped for the job when DNC chair Debbie Wasserman Schultz was forced to resign. Leaked e-mails had shown how Schultz had been putting her finger on the scale to help Clinton while the insurgent Bernie Sanders campaign was making a serious bid to seize the party nomination away from New York’s favorite carpetbagger. Her account features ridiculous and unbelievable melodramatics — she says she “gasped” when she found out the truth and that she “lit a candle in my living room and put on some gospel music” to calm her before she called Bernie Sanders to deliver the awful news. But silly though Brazile’s prose is, her account is vitally important not only for all those who want to understand how American politics works but also for the future of Brazile’s beloved party. First, it raises key questions about what was happening as Hillary Clinton faced a time of trial in the middle of 2015. Her reputation was taking hits as her evasions and denials and untruths about what had happened to the private e-mail server she had set up illegitimately in 2009 seemed to mushroom on a daily basis. As this was happening, she found herself with only two semi-serious challengers for the nomination — Sanders and former Maryland Gov. Martin O’Malley. Now I mean this – there is no end. NO end to Hillary Clinton’s excuses for her actions or non-actions. To that point, she was just on the the Daily Show with Trevor Noah, and said flat out that her and her campaign, paying for the notorious Steele dossier that looked into Donald Trump – her opponent – was totally acceptable…But of course not colluding with Russia to try and influence the 2016 election – a CLAIM that has ZERO evidence behind it. Republican National Committee (RNC) Chairwoman Ronna McDaniel said that every Democrat should denounce the “sickening” Latino Victory Fund ad. After the whole Harvey Weinstein mess exploded, Corey Feldman decided to go public with the names of his abusers. He’s finally started naming names of alleged child molesters he claims took advantage of him and other Hollywood children years ago. Feldman found fame in hits such as ‘Stand By Me’ and ‘The Goonies’. He says that his former assistant and actor Jon Grissom was the first to take advantage of him in the 1980s. This came out as Feldman did an interview with TV host Dr. Oz on Thursday. Perhaps justice will come for Feldman after all these years. 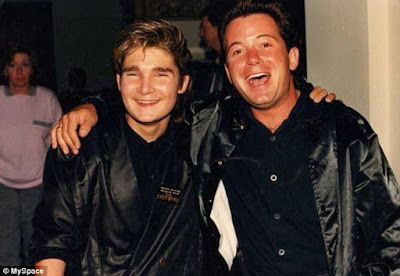 “This guy on his My Space page and his Facebook page has got pictures of me and Corey Haim,” Feldman said during the interview. “He still taunts it and flaunts it.” For his part, Grissom denies there was any sexual misconduct whatsoever. But it should be noted that Feldman has been saying he was molested for years. Grissom posted in a YouTube comment, “I said it’s not me I’m sick and tired of saying that when no one listens. 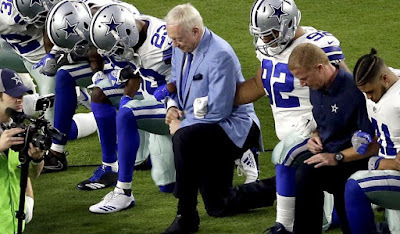 So g*******t I’m not repeating it anymore.” If he didn’t do it, why doesn’t he get a lawyer and fight the accusation? Just sayin’. 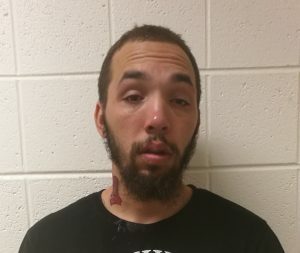 (NORTH EAST, MD) – Maryland State Police have arrested a Cecil County man for animal cruelty after a trooper had to end the suffering of the dog he had stabbed. The suspect is identified as Reginald L. Farley II, 25, of North East, Md. He is charged with two counts of animal cruelty. Just after 11:00 p.m. on November 1, 2017, a trooper from the North East Barrack was dispatched to the 100-block of Seneca Court in North East for the report of a dog attack. When the trooper arrived, the resident reported that a neighbor’s dog had just attacked her dog. She said the neighbor had retrieved his dog and taken it back to his residence in the 100-block of Louise Court. While the trooper was obtaining the initial information, the sound of a dog yelping very loudly was heard coming from the direction of the 100-block of Louise Court. The trooper went to that location to investigate and met the suspect at his residence. Inquiring about the dog, the trooper was told the dog had been stabbed and was now dead. Concerned about the welfare of the dog, the trooper asked to see it and was taken to the backyard of the home. The trooper found a wounded pit bull with a large knife protruding from its neck. The dog was still alive, but was obviously gravely wounded. The dog was suffering and had little chance of survival. After obtaining permission from the suspect, who owned the dog, the trooper used his Department-issued pistol to end the dog’s suffering. During further investigation, the trooper learned the suspect had stabbed the dog after returning home with it from the complainant’s residence. The suspect was placed under arrest and taken to the North East Barrack for processing. The complainant’s German shepherd was injured by the pit bull. The dog is expected to survive. Dig up the pants after just two months, and it is possible to judge how healthy the land is.. The reason all of this wonderful news is an “upset” is because for the longest time, some of these multinational entertainment companies were out there claiming that cord-cutting had peaked; the worst was behind them. At the time, and for two reasons, this was patent nonsense. 1) Streaming TV is exploding. On top of Netflix, Amazon, Hulu — all three of which you can subscribe to for about one-third of the price of the average cable bill — there is an endless supply of free streaming channels that offer 24/7 news, movies, and television shows. A couple of weeks ago, I found Pluto TV, which offers a ton of streaming live networks and works just like your cable package. Oh, and it is free. SALISBURY, Md. – The Wicomico County War Memorial Committee invites the community to join in honoring our military veterans at a ceremony on Saturday, Nov. 11, at 11 a.m. The ceremony will take place at the Wicomico War Veterans’ Memorial, located directly in front of the Wicomico Youth & Civic Center at 500 Glen Ave. in Salisbury. The ceremony, which is being coordinated by the Wicomico County War Memorial Committee, includes patriotic music, prayer and remembrance to honor all veterans. Veterans Day is set aside to thank and honor living veterans who served honorably in the military, in wartime or peacetime. In the event of inclement weather, the ceremony will be canceled. The Wicomico War Veterans’ Memorial at the Wicomico Youth & Civic Center is a fitting location for this ceremony as the Civic Center is itself a living war memorial to all veterans. At the outside Wicomico War Veterans’ Memorial, flags from each service branch, along with a United States, Maryland, Wicomico County and the POW-MIA flag now proudly fly over a brick wall displaying bronze plaques with the names of Wicomico County’s fallen veterans from World War II and beyond. To learn more about the Wicomico War Veterans’ Memorial and the men and women it was built to honor, visit http://www.wicomicociviccenter.org/about-the-center/war-memorial. Although President Barack Obama apparently was briefed in 2009-2014 about a bribery and money laundering scheme involving a Russian official and Russian subsidiary involved in the transportation of uranium in the United States, the Obama administration, with the blessing of Secretary of State Hillary Clinton, agreed to selling the Vancouver-based Uranium One company to Rosatom (Russia's State Atomic Energy Corporation), which gave the Russians (and President Vladimir Putin) control over 20% of U.S. uranium production. Prior to, during, and after this sale in October 2010, at least nine investors in Uranium One gave $145 million to the Clinton Foundation. Bill Clinton personally received $500,000 for a speech sponsored by a Russian bank that supported the purchase of Uranium One. An attorney, Victoria Toensing, who represents an undercover informant who helped the FBI in its investigation of the kickback and money laundering scheme, said her client has information on how bribery money came from Russian operatives, and how these Russians were seeking to expand their holdings in the uranium market and "peddle influence with the State Department and the Clintons." Toensing, speaking on the Oct. 25 edition of Hannity, also said that her client "was being told by the FBI that President Obama was being briefed on this matter" as the investigation was occuring 2009-2014. Investigative reporters John Solomon and Sara Carter, also on the Hannity program, confirmed some of Toensing's statements and stressed that the money being used to buy influence was "coming from Moscow." Breaking News: The U.S. added 261,000 jobs last month, rebounding from a hurricane-driven slowdown in September. 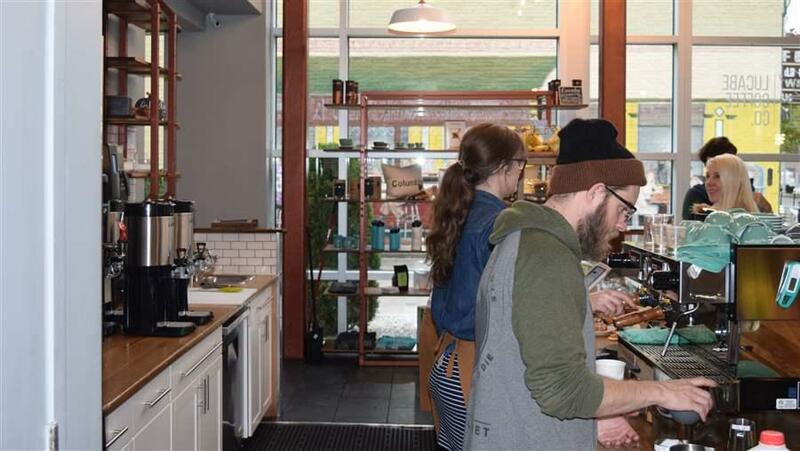 The jobless rate fell to 4.1 percent. The Labor Department released its official hiring and unemployment figures for October on Friday morning, providing the latest snapshot of the American economy. The economy added 261,000 jobs last month. Wall Street economists surveyed by Bloomberg had expected a jump of 325,000 as the economy bounced back from September’s hurricanes. Anyone who is patriotic has to love this idea!